Until recently, the humble television in the corner of your living room has existed separate from the digital revolution. Unlike a PC, the TV is passive and ready to go at all times, requiring very little input beyond you punching a button on a remote control. Trying to understand how and why traditional TV got its pride of place in our world comes down to what the back of TVs look like, then and now. 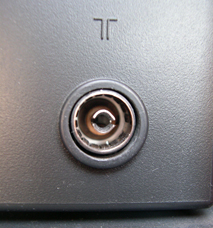 Older TVs had basically one input on the back – an antenna plug. That means that the only thing you can do to get some TV on is have an antenna, have a lead come down to your living room, connect into that plug, and then select from a small handful of large broadcasters, with little decision on what to watch. The real change in this came along when most TVs started getting audio visual inputs. 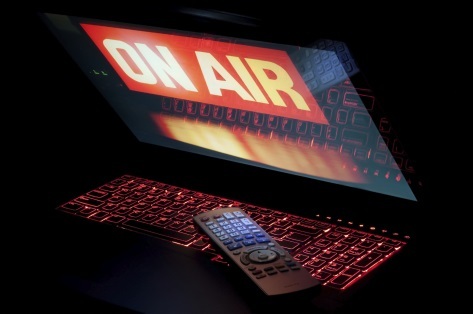 Rather than tuning in to whatever is on, people could now connect other equipment like DVD players and Pay TV boxes to open up the TV to more choices. Some advanced computers had AV output to connect to these TVs, but that was just a taste of what was to come. TVs got bigger, and started to boast more inputs. Specialized inputs for high definition video, special inputs for computers, several inputs for VCR, DVD and Blu Ray players…TVs were no longer really used for ‘television’ (tele- far, vision – see), because we weren’t catching a broadcast from out there. We were just watching libraries that we had locally stored. With YouTube, people started to realize that there was good, passive entertainment to watch online. Some people knew that connecting your computer to a TV was no different from connecting it to a monitor, but it was a surprisingly difficult transition to make. So really, the first sort of experiments with television-delivered-via-web were just enthusiasts using standard TVs as monitors for their computers. The drawback? You can’t watch from the couch. Remote controls don’t really exist in a big way for computers (there are some solutions that your average punter has no time for) and you have to hunt for content anyway. Traditional TV broadcast has little to fear from this sort of thing. Apple took control of the mp3 music player market by realizing that like it or not, people were downloading tons of copyright-breaking mp3 files of their favourite songs. Apple provided a player that could hold several thousands of these, even as they also provided a big ecosystem for buying them legally with iTunes. But really, no-one was filling a 60GB iPod with legally bought tracks – at 99 cents per track, that would be worth tens of thousands of dollars. Apple knew full well that people were using that capacity to fill their ears with illicit tunes. In the same way, people are now filling up hard drives with illegally downloaded TV shows, movies and documentaries (and adult content, of course). In light of this, many manufacturers have packed Universal Serial Bus ports (USB) into DVD players, standalone media players, and even straight into the TVs themselves. When the user loads in an external hard drive with downloaded video files in it, the device has a basic media player built in to read the drive and playback these files. More advanced TVs and media players will have their own hard drives to store content locally. The advantage to these is that they usually play any old format you can shake a stick at, and they allow for people to amass huge libraries of content and play them easily, with no ads and with a remote control. Pure TV Nirvana. You can have several DVD boxsets worth of content stored on an external hard drive the size of a pack of cards, with no messy menus to sort through. The big disadvantage is that this might eventually kill the TV and film industry. iTunes and similar services do allow for downloadable video content, but still at a price that makes ‘free’ a little too convenient. And often these video files are not transferrable to other devices. 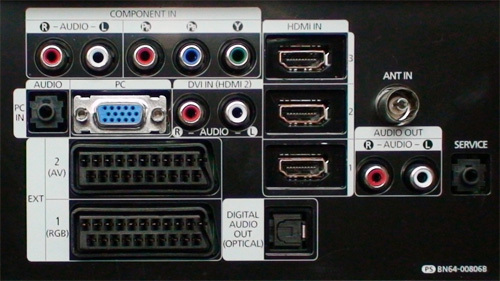 To this end, the USB port on a TV or playback device is often listed as an afterthought in the spec sheet, while the free content offered through the TV or media player itself is widely advertised. But people in the know are just interested in that USB port. That’s all they need. 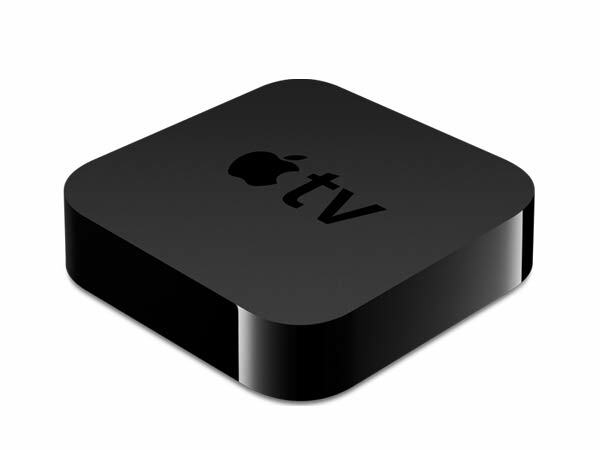 Everyone is waiting for Apple to crack open the TV enigma the same way they did music, books and mobile. They have the money, the eye for design and the brainpower; and Steve Jobs' near-last words were supposedly 'I've cracked the TV- erk! ".But right now, Apple TV is just a very limited media player like the one described above - only with no USB port. The only advantage is the usual Apple design, and the ability to mirror whatever is playing on your iPhone/iPod/iPad onto your screen through the Apple TV box. It's otherwise more fiddly than solutions from Roku, Western Digital and others. It doesn't 'just work', which is why even Apple kinda treats it like a hobby. The golden nugget for watching TV delivered over internet, in the traditional sense, is Internet Protocol Television. Like VoIP, this aims to take a uniquely networked communications product (telephone) and turn it into a software experience delivered over a single internet connection. 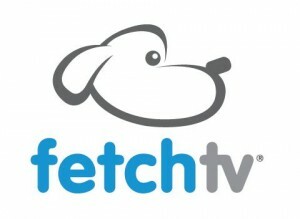 Fetch TV is the first major Aussie firm trying their best to deliver on the promise of this, with their own set top box and agreements with several ISPs (who can ensure quality by dedicating part of your bandwidth to their service). This makes FetchTV indistinguishable from Foxtel for many people, as it involved a set top unit, remote control, program guide and feels like regular Pay TV. Alas, Fetch TV suffers from not having a heap of great channels and content. Some of that is a matter of time – the right deal just needs to be set up – but some content they’ll never receive unless the government steps in. News Ltd (Ruper Murdoch’s media empire) owns or controls a huge number of channels and shows. But they also compete in telecom infrastructure, which is threatened by the internet. So they tend to not be very friendly when someone like Fetch TV comes knocking, asking for content that their other department charges a premium to access. Unless a regulator specifies that all content providers must offer themselves to all distribution channels, that’s not going to change. Likewise, Time Warner and Disney are merged with or owned by major telco companies in the US, which disincentivizes them from sharing anything online. So we get the effects of that too. So right now, actually watching TV content delivered via the internet is a bit DIY. It’s not nearly as comfortable as traditional TV, but that will change down the road. It might be the National Broadband Network that brings a big change. If everyone has equal access to extremely high speeds, then even the big infrastructure owners like Foxtel will realize that it’ll be cheaper and easier to send their content over the web. The next step in opening up TV over IP will be laws breaking up the owners of actual networks from the groups that make content. This sort of antitrust division will have to start in the US, where most English-speaking content originates. People downloading content from torrents and the like provides two problems. It means that people will no longer buy very profitable DVD and Blu-Ray box sets of their favourite shows at the end of the season, and it also means people don’t get to see the advertisements screened with the show. Studios have tried (in vain so far) to battle this with lawsuits, but have yet to win major victories. And it likely doesn’t matter – pirates will find a way to beat any restriction eventually. So why fight it? ‘Not fighting it’ would mean that a) channels would release programs to air and to the web simultaneously, allowing customers to live stream for free (with non-skippable ads), or download for a very small cost (like, 99 cents). And that means everywhere- no region blocking. That would likely convert many pirates into profitable viewers. The small price for download per episode would mean that customers are more willing to pay this tiny fee, which adds up to $26 over a standard US TV series. That’s more than they might charge for a DVD, with added benefit that no destined-for-landfill discs have to be printed, shipped and packaged for sale. Sure, it might kill the retail market, but…well, time heals all wounds. If you’re looking for a no-fuss alternative to traditional TV delivered over the web, you’re out of luck for now. But sit tight: the potential is there, it’s just a matter of time until someone works out a business model that makes everyone happy. Update: If you're a sports fan, it might interest you to know that Fox Sports have launched Kayo, the app that lets you stream sports live in HD, with no ad breaks. What's more, they're currently letting you try it out for free (and you can read more about Kayo and their content here).